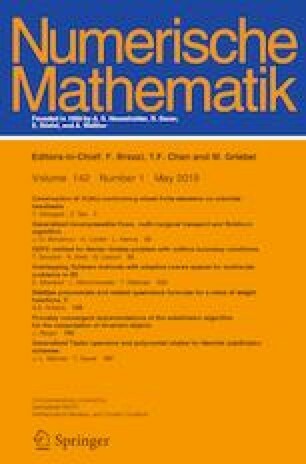 This paper presents a general convergence theory of penalty based numerical methods for elliptic constrained inequality problems, including variational inequalities, hemivariational inequalities, and variational–hemivariational inequalities. The constraint is relaxed by a penalty formulation and is re-stored as the penalty parameter tends to zero. The main theoretical result of the paper is the convergence of the penalty based numerical solutions to the solution of the constrained inequality problem as the mesh-size and the penalty parameter approach zero independently. The convergence of the penalty based numerical methods is first established for a general elliptic variational–hemivariational inequality with constraints, and then for hemivariational inequalities and variational inequalities as special cases. Applications to problems in contact mechanics are described. The work was supported by NSF under the Grant DMS-1521684, and the European Union’s Horizon 2020 Research and Innovation Programme under the Marie Skłodowska-Curie Grant Agreement No. 823731 CONMECH.